From a simple pop-up booth to an immersive marketing experience, we'll help you achieve your show goals with ingenious solutions. Need some inspiration? Checkout some of our past work. Fern can help you communicate your brand message to engage the right audience & deliver measurable results. Need to rent a turn-key display? Or just need furnishings, flooring or accessories to accent your booth space? We've got everything you need. Did you know Fern offers a complete door-to-door shipping and material handling package? Just ask for Freedom Shipping and enjoy a worry-free show experience. We're known for our exceptional customer service. No question is too small, no need is too great. Here are some quick tips for three of the most common exhibitor goals. You can find more information in the exhibitor strategy guide below. Tip: Purchase the show attendee list and set appointments with potential clients prior to the show. 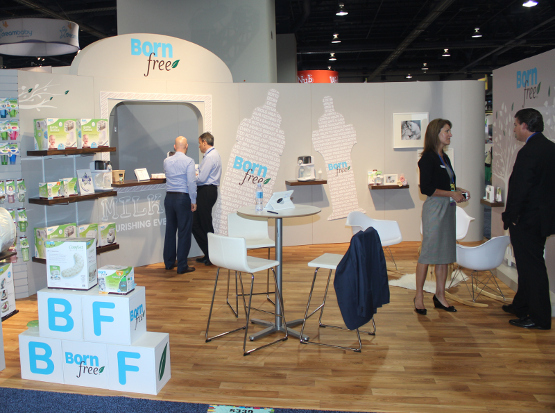 Tip: Create a mini-event in your booth that will drive potential customers to your space. Tip: You need to be seen and heard. Consider an event sponsorship or a larger booth space.